At Kallo, they don’t think eating sensibly has to mean saying no to the things you love. Life is about what you can, not what you can’t have – and eating the right way is about loving food and having a nutritious, balanced diet. That’s why they’ve reinvented the standard stock cube. 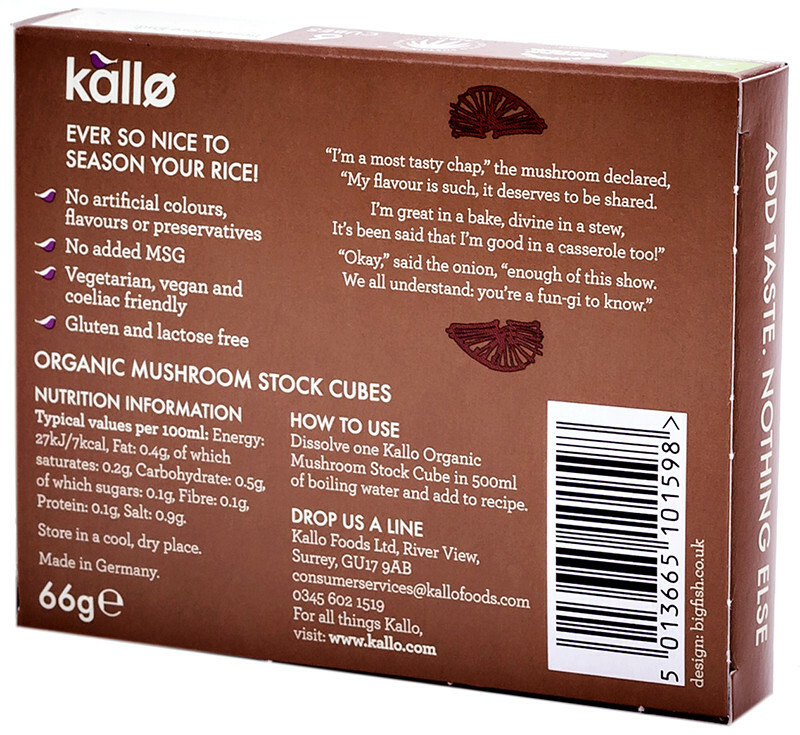 This mushroom stock cube adds concentrated, healthy vegetable flavour to your food. Allergen Advice: May contain traces of egg, mustard, soya and celery. 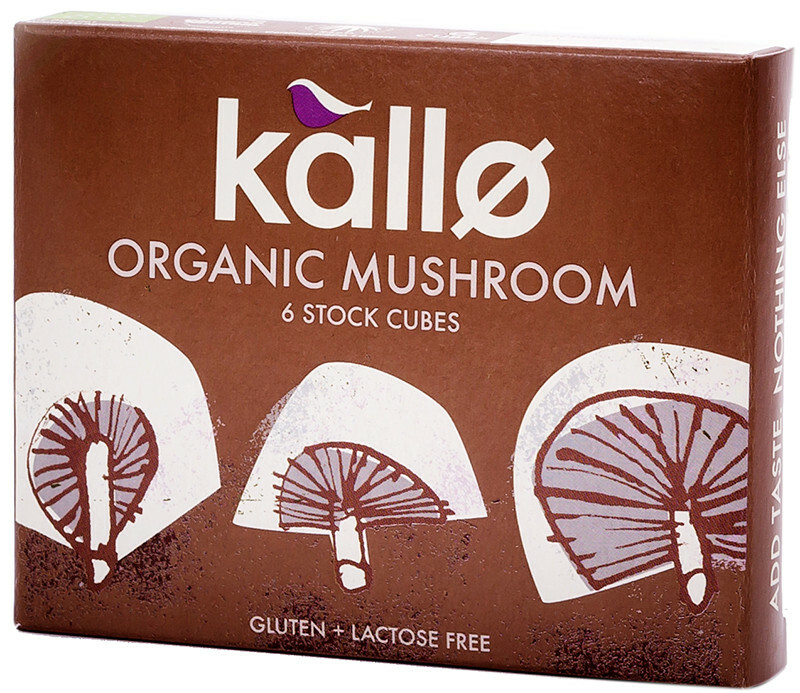 Must have for mushroom risotto! An absolute must for risotto. Taste divine, and no guilty ingredients!